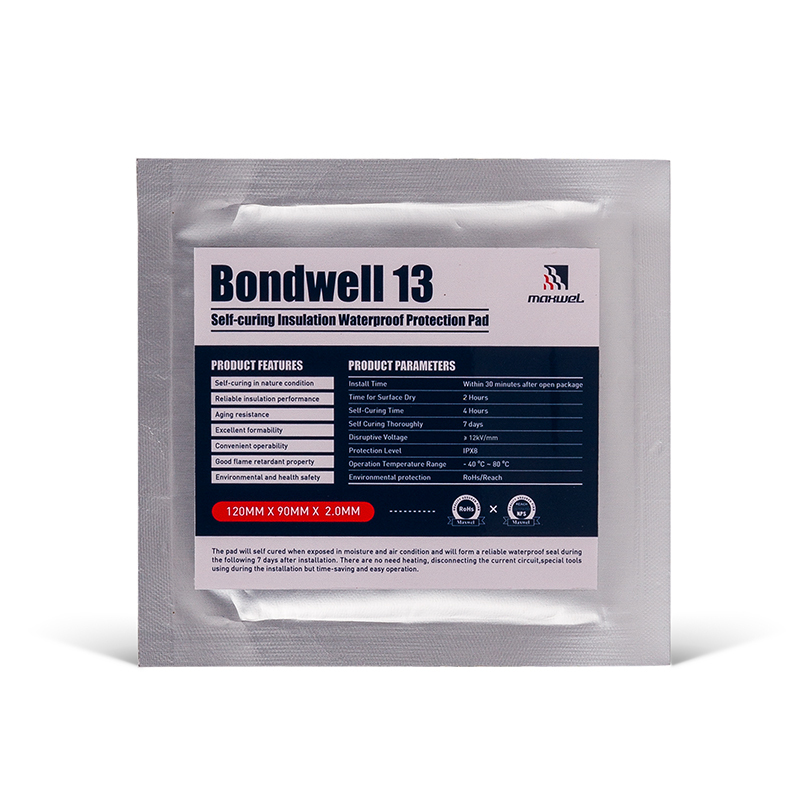 BondwellTM13 Self Curing Insulation Waterproof Protection Pad provides a safe and easy way to give a reliable sealed connection on a coaxial cable connector or other outdoor connector. It is suitable for wireless communication base stations and other exposed coaxial cable connections. This proterction pad should be wrapped and pinched when applied in a place where need be sealed.The pad will self cured when exposed in moisture and air condition and will form a reliable waterproof seal during the following 7 days after installation. There are no need heating, disconnecting the current circuit,special tools using during the installation but time-saving and easy operation. This protection pad can be removed easily without any residue but can not be secondary use. Maxwel Manufacturing Co., Ltd is committed to providing overall solutions and services for high-quality insulation, protection and flame retardant products in the global power and communication fields to help customers create value.